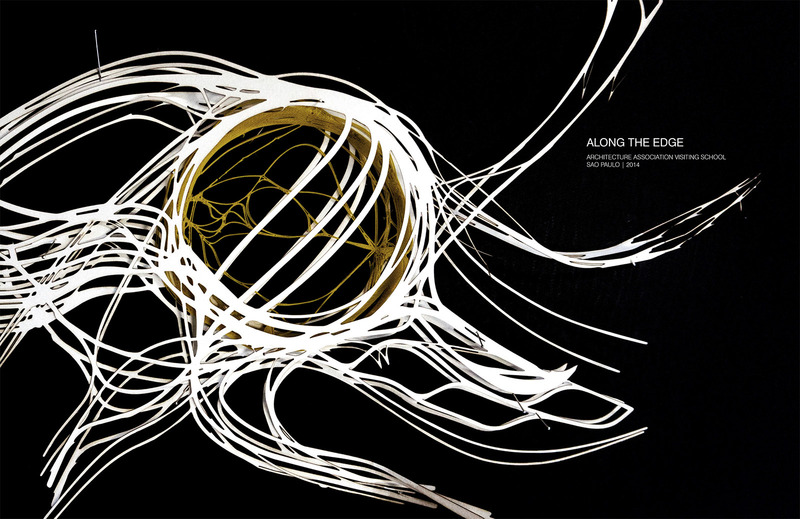 This is the catalogue of the exhibition ER-RE / Estranhando o Real - Realizando o Estranho curated by Victor Sardenberg, Breno Eitel Zylbersztajn and Adriana Xiclet and designed by Victor Nosek. It's available for sale worldwide at: CreateSpace and at Amazon and a Proof Read PDF can be found here. July 2017. A thesis paper submitted in partial fulfilment of the requirements for the degree Master of Arts on Architecture and Urban Design at Städelschule Architecture Class, April 2016. 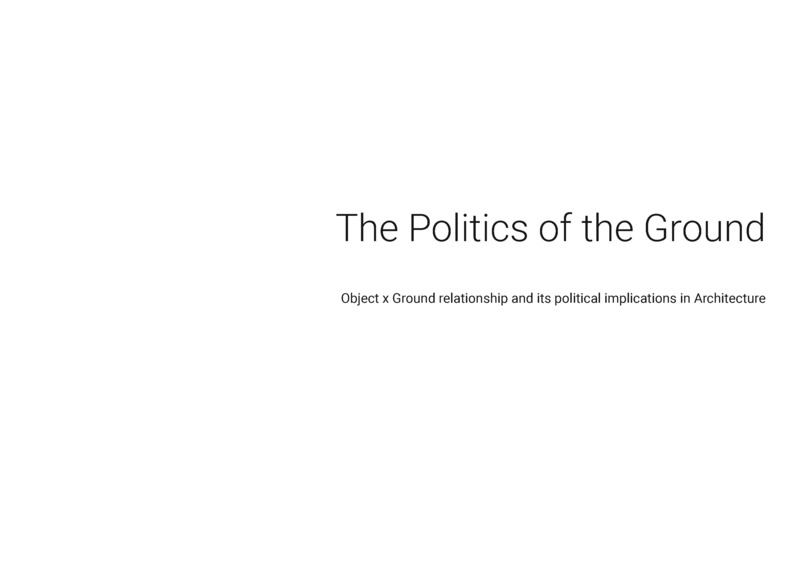 Thesis advisor: Prof. Peter Trummer. 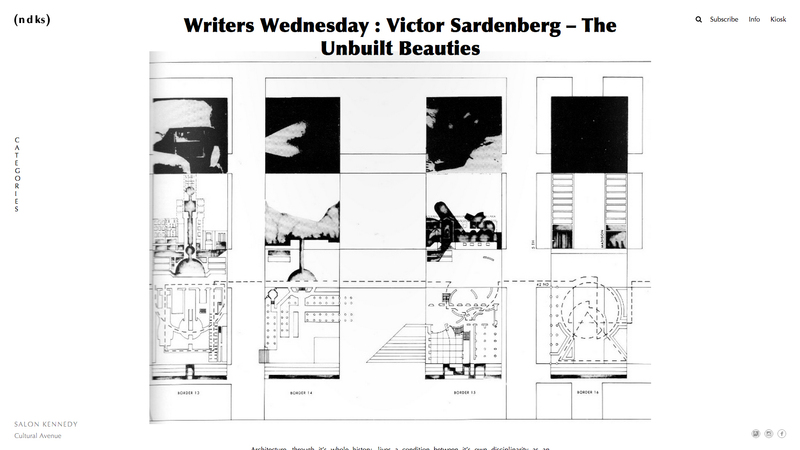 The Unbuilt Beauties is a ongoing series of articles about extremely influential unbuilt architectural projects for the international online magazine Indechs. 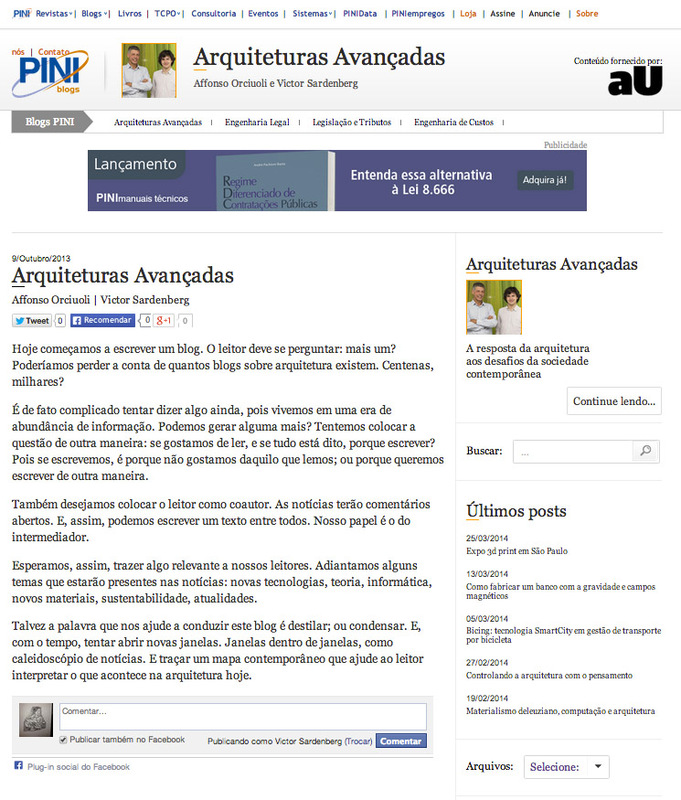 Arquiteturas Avançadas (Advanced Architectures) is a weekly updated blog co-written by Victor Sardenberg and Affonso Orciuoli as part of Revista aU (aU Magazine) portal. The main topics are: New technologies, theory, computation, new materials, sustainability and actualities. Read it! This book documents the intense ten-day workshop of the AA São Paulo Visiting School 2014, advanced computational design and digital fabrication were used to generate speculative new architecture models in the creation of a ‘liquid design’ that can mediate multiple-scale flows. The workshop explored the redevelopment of a bordering territory along the Marginal Rivers of São Paulo, where in the 1960’s, much of the water-system was disastrously canalized, causing problematic flooding and the creation of ill-conceived residual post-industrial riverbanks that are inhabited by monolithic, large-scale programs. The Visiting School São Paulo worked on bringing a new urban life for these sites by redefining the existing macro-architectural typologies along the river with micro-scale interventions to introduce new flows of urban street culture. 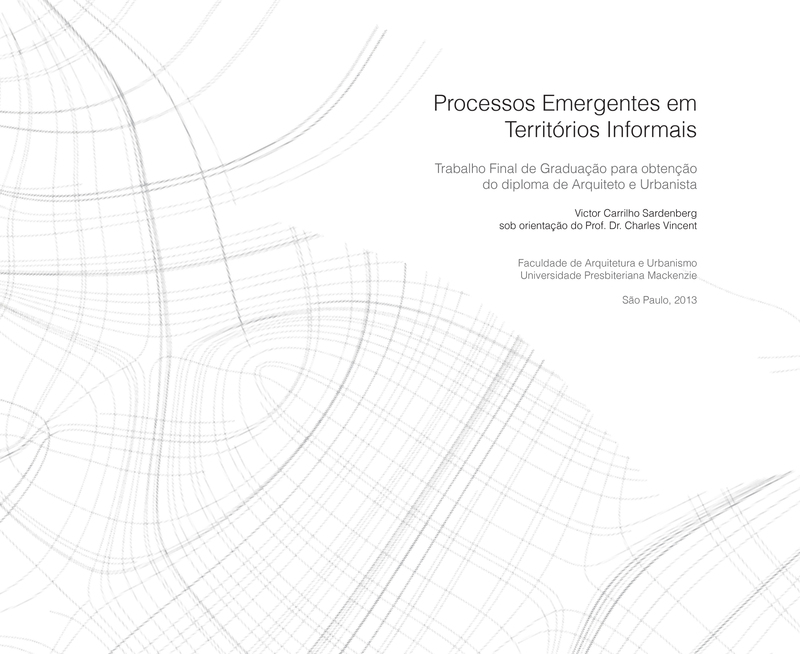 Specifically, the workshop will focused on the reinvention of the Vila Leopoldina region around and including the large-scale market distribution center, CEAGESP (Companhia de Entrepostos e Armazéns Gerais de São Paulo), to introduce programs and structures that could mediate a new movement of people, commerce, and environmental forces using parametric design and fabrication. Students worked at various scales, from the urban to the architectural scale, bringing a new contemporary interface between agricultural production and consumption. 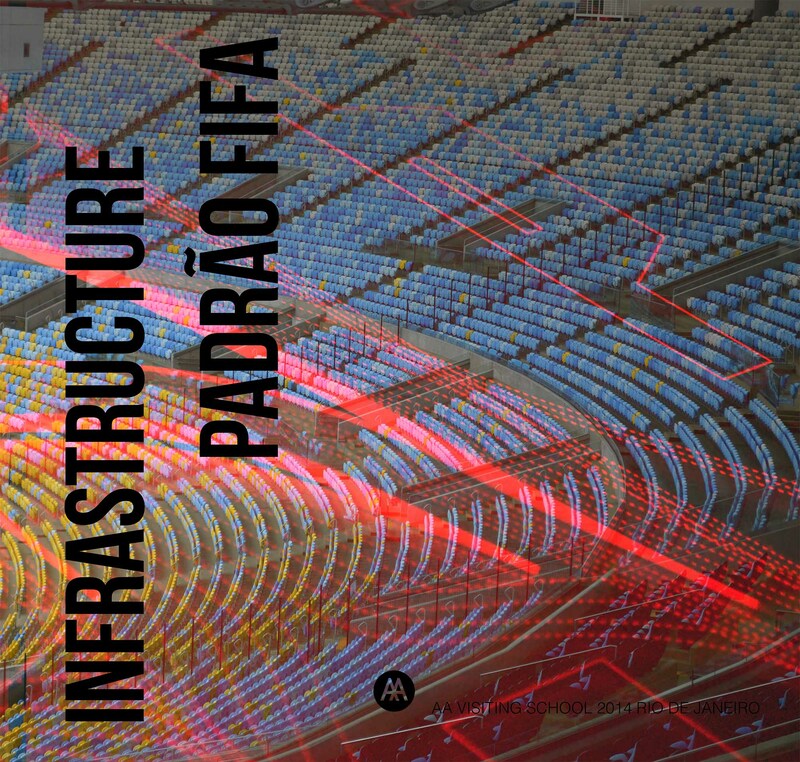 Booklet with the products of AA Infrastructure Padrão FIFA workshop. Link here. Centro Carioca de Design/Studio X – Rio de Janeiro, Brazil, South America Tuesday 15 – Thursday 24 April 2014 The Architectural Association Visiting School Rio de Janeiro will collaborate with the Centro Carioca de Design with the support of Columbia University Studio X to investigate new possibilities for the urban infrastructure surrounding World Cup Stadiums. Nation-wide, there has been significant investment to build and renovate stadiums for the 2014 World Cup in order to meet the required standard FIFA regulations (‘Padrão FIFA’). At the same time, there has been a large public demand for equal investment into transport systems, public space, and public programs such as hospitals and schools. The Visiting School will tap into the momentum of this movement, and promote a series of interventions within and around the World Cup structures, proposing new public programs and standards for their legacy. Students can choose to focus directly on the Maracanã stadium in Rio de Janeiro, the venue for the Final match of the World Cup. 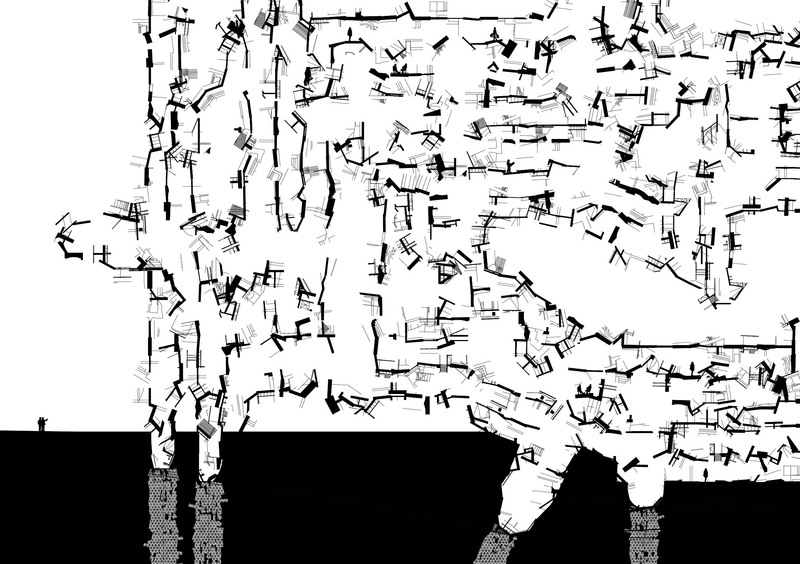 The intense ten-day workshop will employ computational design and digital fabrication to introduce a design methodology that creatively automates and promotes transformation, mutation and complexity for these infrastructure interventions.